Windows 10 has an extensive collection of lock screen photos, many of which have prompted a question here on Travel.SE. Is there a website which lists the location of all of these photos? I imagine Microsoft has purchased an official license, so they should have a record about the photographer and the place where the photo was taken. 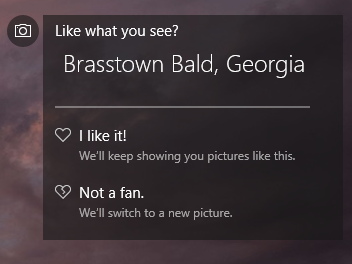 Windows 10 has added an update in the latest version allowing users to see where the photo came from. In the top-left corner of each lock screen there is now a short description of the location. Clicking the description opens a Bing search with the location's name. If you're unable to see the helpful tip, follow this guide from SuperUser. Finally you may try checking Wiki's article on Microsoft Spotlight which lists many of the previously used locations. If you find the same photo on that site, there is almost always more information, such as location, photographer's name, and usage rights. But they don't have a search by photo, so you'll have to search using Google Images' photo upload. 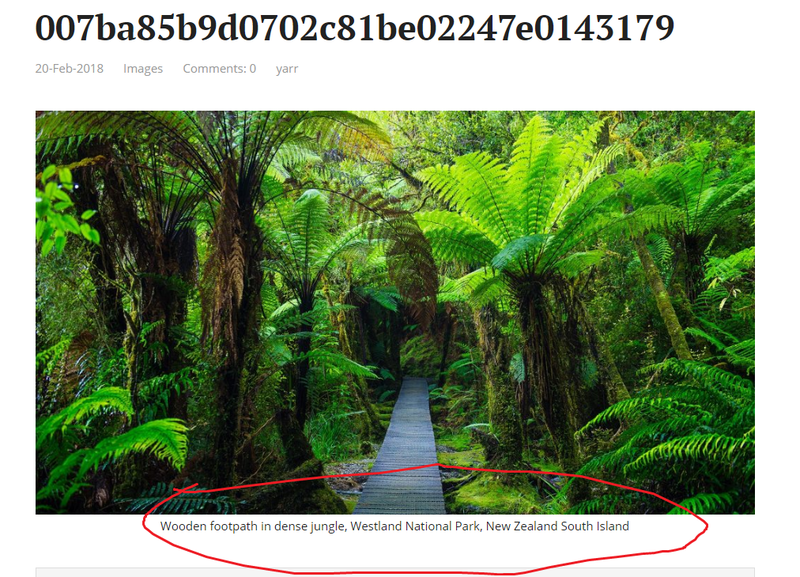 You can find the description of the photo by going to C:\Users\username_for_your_computer\AppData\Local\Microsoft\Windows\Themes and then selecting the picture and going to its properties. It should contain information on where the photo was taken. After adding '.jpg' to the filenames in that folder, you get a nice picture from Windows. If previewing the meta data doesn't help (because it's empty), just perform a google image search. I wanted to know the location of the image below and was able to learn that it was taken in China. 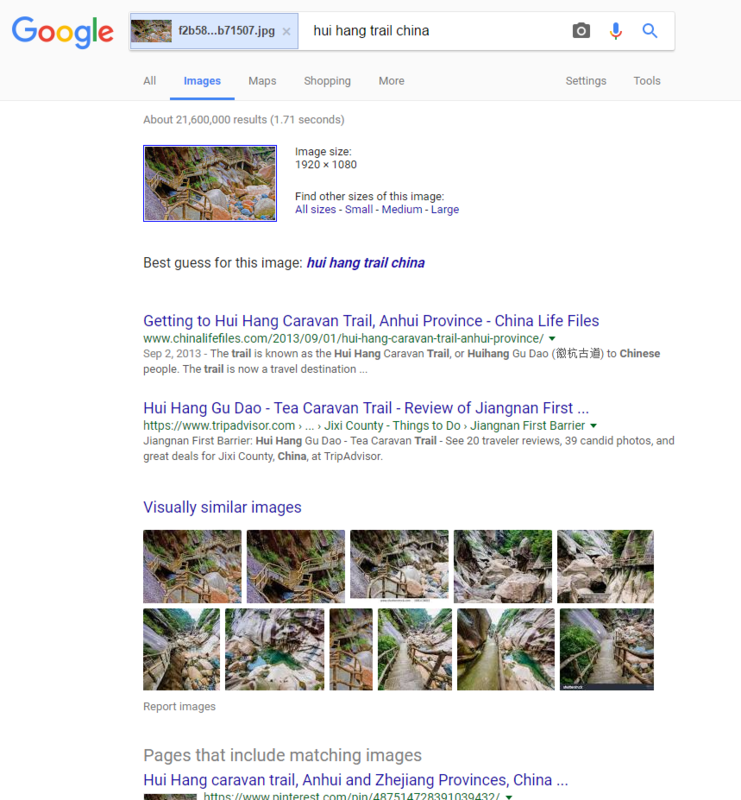 Do a reverse Image-Search on google. When the search results load, edit the automatic text to 'spotlight'. The description of the image is given at the bottom of the image. Note: Some images are probably not listed in the site. Not the answer you're looking for? Browse other questions tagged online-resources where-on-earth lock-screens or ask your own question.